George Frideric (or Frederick) Handel born Georg Friedrich Händel German: 23 February 1685 (O.S.) [(N.S.) 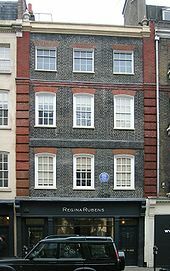 5 March] – 14 April 1759) was a German, later British, Baroque composer who spent the bulk of his career in London, becoming well-known for his operas, oratorios, anthems, and organ concertos. Handel received important training in Halle-upon-Saaleand worked as a composer in Hamburg and Italy before settling in London in 1712; he became a naturalised British subject in 1727. He was strongly influenced both by the great composers of the Italian Baroque and by the middle-German polyphonic choral tradition. 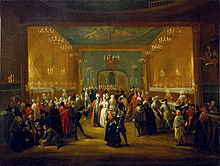 Within 15 years, Handel had started three commercial opera companies to supply the English nobility with Italian opera. Musicologist Winton Dean writes that his operas show that "Handel was not only a great composer; he was a dramatic genius of the first order." As Alexander's Feast (1736) was well received, Handel made a transition to English choral works. After his success with Messiah (1742) he never composed an Italian opera again. Almost blind, and having lived in England for nearly fifty years, he died in 1759, a respected and rich man. His funeral was given full state honours, and he was buried in Westminster Abbey in London. Handel was born in 1685 in Halle-upon-Saale, Duchy of Magdeburg, to Georg Händel and Dorothea Taust. His father, 63 when George Frideric was born, was an eminent barber-surgeon who served the court of Saxe-Weissenfels and the Margraviate of Brandenburg. Georg Händel (1622–97) was the son of a coppersmith, Valentin Händel who had emigrated from Eisleben in 1608 with his first wife Anna Belching, the daughter of a master coppersmith. They were Protestants and chose reliably Protestant Saxony over Silesia, a Hapsburgpossession, as religious tensions mounted in the years before the Thirty Years War. Halle was a relatively prosperous city, home of a salt-mining industry and center of trade (and member of the Hanseatic League). The Margrave of Brandenburg became the administrator of the archiepiscopal territories of Mainz (including Magdeburg when they converted, and by the early 17th century held his court in Halle, which attracted renowned musicians. 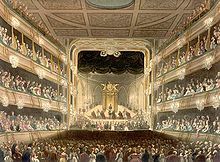 Even the smaller churches all had "able organists and fair choirs", and humanities and the letters thrived (Shakespeare was performed in the theaters early in the 17th century). The Thirty Years War brought extensive destruction to Halle, and by the 1680s it was impoverished. However, since the middle of the war the city had been under the administration of the Duke of Saxony, and soon after the end of the war he would bring musicians trained in Dresden to his court in Weissenfels. The arts and music, however, flourished only among the higher strata (not only in Halle but throughout Germany), of which Handel's family was not a member. Georg Händel was born at the beginning of the war, and was apprenticed to a barber in Halle at the age of 14, after his father died. When he was 20, he married the widow of the official barber-surgeon of a suburb of Halle, inheriting his practice. With this, Georg determinedly began the process of becoming self-made; by dint of his "conservative, steady, thrifty, unadventurous" lifestyle, he guided the five children he had with Anna who reached adulthood into the medical profession (except his youngest daughter, who married a government official). Anna died in 1682. 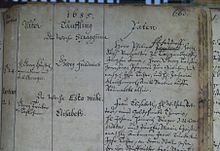 Within a year Georg married again, this time to the daughter of a Lutheran minister, Pastor Georg Taust of the Church of St. Bartholomew in Giebichtenstein, who himself came from a long line of Lutheran pastors. Handel was the second child of this marriage; the first son was stillborn. Two younger sisters were born after the birth of George Frideric: Dorthea Sophia, born 6 October 1687, and Johanna Christiana, born 10 January 1690. Early in his life Handel is reported to have attended the gymnasium in Halle, where the headmaster, Johann Praetorius (de), was reputed to be an ardent musician. Whether Handel remained there or for how long is unknown, but many biographers suggest that he was withdrawn from school by his father, based on the characterization of him by Handel's first biographer, John Mainwaring. Mainwaring is the source for almost all information (little as it is) of Handel's childhood, and much of that information came from J.C. Smith, Jr., Handel's confidant and copyist. Whether it came from Smith or elsewhere, Mainwaring frequently relates misinformation. It is from Mainwaring that the portrait comes of Handel's father as implacably opposed to any musical education. 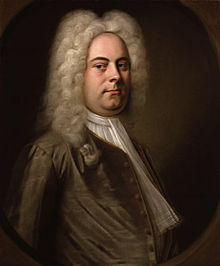 Mainwaring writes that Georg Händel was "alarmed" at Handel's very early propensity for music, "took every measure to oppose it", including forbidding any musical instrument in the house and preventing Handel from going to any house where they might be found. This did nothing to dampen young Handel's inclination; in fact, it did the reverse. Mainwaring tells the story of Handel's secret attic spinet: Handel "found means to get a little clavichord privately convey'd to a room at the top of the house. To this room he constantly stole when the family was asleep". Although both John Hawkins and Charles Burney credited this tale, Schoelcher found it nearly "incredible" and a feat of "poetic imagination" and Lang considers it one of the unproven "romantic stories" that surrounded Handel's childhood. 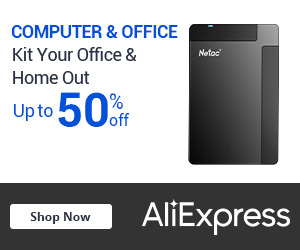 But Handel had to have had some experience with the keyboard to have made the impression in Weissenfels that resulted in his receiving formal musical training. Sometime between the ages of seven and nine, Handel accompanied his father to Weissenfels where he came under the notice of one whom Handel thereafter always regarded throughout life as his benefactor, Duke Johann Adolf I. Somehow Handel made his way to the court organ in the palace chapel of the Holy Trinity, where he surprised everyone with his playing. Overhearing this performance and noting the youth of the performer caused the Duke, whose suggestions were not to be disregarded, to recommend to Georg Händel that Handel be given musical instruction. Handel's father engaged the organist at the Halle parish church, the young Friedrich Wilhelm Zachow, to instruct Handel. Zachow would be the only teacher that Handel ever had. Because of his church employment, Zachow was an organist "of the old school", reveling in fugues, canons and counterpoint.But he was also familiar with developments in music across Europe and his own compositions "embraced the new concerted, dramatic style". When Zachow discovered the talent of Handel, he introduced him "to a vast collection of German and Italian music, which he possessed, sacred and profane, vocal and instrumental compositions of different schools, different styles, and of every master". Many traits considered "Handelian" can be traced back to Zachow's music. 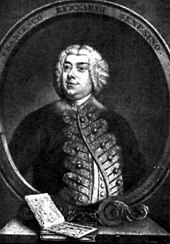 At the same time Handel continued practice on the harpsichord, learned violin and organ, but according to Burney his special affection was for the hautbois (oboe). Schoelcher speculates that his youthful devotion to the instrument explains the large number of pieces he composed for oboe. With respect to instruction in composition, in addition to having Handel apply himself to traditional fugue and cantus firmus work, Zachow, recognizing Handel's precocious talents, systematically introduced Handel to the variety of styles and masterworks contained in his extensive library. He did this by requiring Handel to copy selected scores. "I used to write like the devil in those days", Handel recalled much later.Much of this copying was entered into a notebook that Handel maintained for the rest of his life. Although it has since disappeared, the notebook has been sufficiently described to understand what pieces Zachow wished Handel to study. Among the chief composers represented in this exercise book were Johann Krieger, an "old master" in the fugue and prominent organ composer, Johann Caspar Kerll, a representative of the "southern style" after his teacher Frescobaldi and imitated later by Handel, Johann Jakob Froberger, an "internationalist" also closely studied by Buxtehude and Bach, and Georg Muffat, whose amalgam of French and Italian styles and his synthesis of musical forms influenced Handel. Mainwaring writes that during this time Zachow had begun to have Handel assume some of his church duties. Zachow, Mainwaring asserts, was "often" absent, "from his love of company, and a chearful glass", and Handel therefore performed on organ frequently. 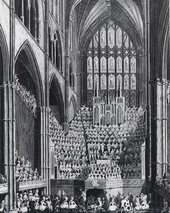 What is more, according to Mainwaring, Handel began composing, at the age of nine, church services for voice and instruments "and from that time actually did compose a service every week for three years successively." Mainwaring ends this chapter of Handel's life by concluding that three or four years had been enough to allow Handel to surpass Zachow, and Handel had become "impatient for another situation"; "Berlin was the place agreed upon." Carelessness with dates or sequences (and possibly imaginative interpretation by Mainwaring) makes this period confused. Mainwaring has Handel traveling to Berlin the next year, 1698. The problem with Mainwaring as an authority for this date, however, is that he tells of how Handel's father communicated with the "king" during Handel's stay, declining the Court's offer to send Handel to Italy on a stipend and that his father died "after his return from Berlin." But since Georg Händel died in 1697, either the date of the trip or Mainwaring's statements about Handel's father must be in error. Early biographers solved the problem by making the year of the trip 1696, then noting that at the age of 11 Handel would need a guardian, so they have Handel's father or a friend of the family accompany him, all the while puzzling over why the elder Handel, who wanted Handel to become a lawyer, would spend the sum to lead his son further into the temptation of music as a career. Schoelcher for example has Handel traveling to Berlin at 11, meeting both Bononcini and Attilio Ariosti in Berlin and then returning at the direction of his father. But Ariosti was not in Berlin before the death of Handel's father. and Handel could not have met Bononcini in Berlin before 1702. Modern biographers either accept the year as 1698, since most reliable older authorities agree with it, and discount what Mainwaring says about what took place during the trip or assume that Mainwaring conflated two or more visits to Berlin, as he did with Handel's later trips to Venice. Perhaps to fulfill a promise to his father or simply because he saw himself as "dedicated to the liberal arts," on 10 February 1702 Handel matriculated at the University of Halle.That university had only recently been founded—in 1694 the Elector created the school, largely to provide a lecture forum for the jurist Christian Thomasius who had been expelled from Leipzig for his liberal views. Handel did not enroll in the faculty of law, although Handel almost certainly attended his lectures Thomasius was an intellectual, academic and religious crusader who was the first German academic to lecture in German. A firm Lutheran, he nevertheless strongly advocated the separation of church and state, famously denouncing the witch trials then prevalent. Lang believes that Thomasius instilled in Handel a "respect for the dignity and freedom of man's mind and the solemn majesty of the law," principles that would have drawn him to and kept him in England for half a century. Handel also there encountered theologian and professor of Oriental languages August Hermann Francke, who was particularly solicitous of children, particularly orphans. The orphanage he founded became a model for Germany, and undoubtedly influenced Handel's own charitable impulse, when he assigned the rights of Messiah to London's Foundling Hospital. 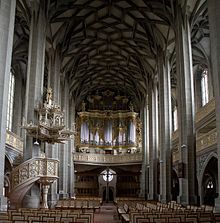 Shortly after commencing his university education, Handel (though Lutheran) on 13 March 1702 accepted the position of organist at the Calvinist Cathedral in Halle, the Domkirche, replacing J.C. Leporin, for whom he had acted as assistant. The position, which was a one-year probationary appointment showed the foundation he had received from Zachow, for a church organist and cantor was a highly prestigious office. From it he received 5 thalers a year and lodgings in the run-down castle of Moritzburg. Although Mainwaring records that Handel wrote weekly when assistant to Zachow and as probationary organist at Domkirche part of his duty was to provide suitable music, no sacred compositions from his Halle period can now be identified. 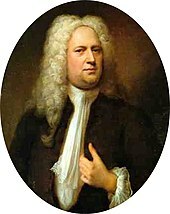 Mattheson, however, summarized his opinion of Handel's church cantatas written in Halle: "Handel in those days set very, very long arias and sheerly unending cantatas which, while not possessing the proper knack or correct taste, were perfect so far as harmony is concerned." Handel's probationary appointment to Domkirche expired in March 1703. By July Handel was in Hamburg. Since he left no explanation for the move biographers have offered their own speculation. Burrows believes that the answer can be found by untangling Mainwaring's confused chronology of the trip to Berlin. Burrows dates this trip to 1702 or 1703 (after his father's death) and concludes that since Handel (through a "friend and relation" at the Berlin court) turned down Frederick's offer to subsidize his musical education in Italy (with the implicit understanding that he would become a court musician on his return), Handel was no longer able to expect preferment (whether as musician, lawyer or otherwise) within Brandenburg-Prussia. And since he was attracted to secular, dramatic music (by meeting the Italians Bononcini and Attilio Ariosti and through the influence of Telemann), Hamburg, a free city with an established opera company, was the logical choice. The question remains, however, why Handel rejected the King's offer, given that Italy was the center of opera. Lang suggests that, influenced by the teachings of Thomasius, Handel's character was such that he was unable to make himself subservient to anyone, even a king. Lang sees Handel as someone who could not accept class distinctions that required him to regard himself as a social inferior. "What Handel craved was personal freedom to raise himself out of his provincial milieu to a life of culture." Burrows notes that like his father, Handel was able to accept royal (and aristocratic) favors without considering himself a court servant. And so given the embarrassed financial condition of his mother, Handel set off for Hamburg to obtain experience while supporting himself. According to Mainwaring, in 1706 Handel travelled to Italy at the invitation of Ferdinando de' Medici. Other sources say Handel was invited by Gian Gastone de' Medici, whom Handel had met in 1703–1704 in Hamburg. De' Medici, who had a keen interest in opera, was trying to make Florence Italy's musical capital by attracting the leading talents of his day. In Italy Handel met librettist Antonio Salvi, with whom he later collaborated. Handel left for Rome and, since opera was (temporarily) banned in the Papal States, composed sacred music for the Roman clergy. His famous Dixit Dominus (1707) is from this era. He also composed cantatas in pastoral style for musical gatherings in the palaces of cardinals Pietro Ottoboni, Benedetto Pamphili and Carlo Colonna. Two oratorios, La resurrezione and Il trionfo del tempo, were produced in a private setting for Ruspoli and Ottoboni in 1709 and 1710, respectively. Rodrigo, his first all-Italian opera, was produced in the Cocomero theatre in Florence in 1707. Agrippinawas first produced in 1709 at Teatro San Giovanni Grisostomo, owned by the Grimanis. The opera, with a libretto by Cardinal Vincenzo Grimani, ran for 27 nights successively. The audience, thunderstruck with the grandeur and sublimity of his style, applauded for Il caro Sassone ("the dear Saxon" – referring to Handel's German origins). In 1712, Handel decided to settle permanently in England. In Summer 1713 he lived at Mr Mathew Andrews' estate in Barn Elms, Surrey. He received a yearly income of £200 from Queen Anne after composing for her the Utrecht Te Deum and Jubilate, first performed in 1713. One of his most important patrons was The 3rd Earl of Burlington and 4th Earl of Cork, a young and extremely wealthy member of an Anglo-Irish aristocratic family. While living in the mansion of Lord Burlington, Handel wrote Amadigi di Gaula, a magical opera, about a damsel in distress, based on the tragedy by Antoine Houdar de la Motte. The conception of an opera as a coherent structure was slow to capture Handel's imagination and he composed no operas for five years. 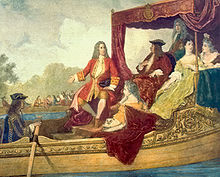 In July 1717 Handel's Water Music was performed more than three times on the River Thames for the King and his guests. It is said the compositions spurred reconciliation between the King, supposedly annoyed by the composer's abandonment of his Hanover post, and Handel. In 1717 Handel became house composer at Cannons in Middlesex, where he laid the cornerstone for his future choral compositions in the twelve Chandos Anthems. Rolland wrote that these anthems (or Psalms) stood in relation to Handel's oratorios, much the same way that the Italian cantatas stood to his operas: "splendid sketches of the more monumental works." 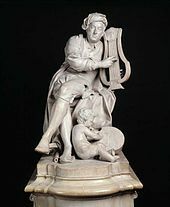 Another work, which he wrote for The 1st Duke of Chandos, the owner of Cannons, was Acis and Galatea: during Handel's lifetime it was his most performed work. Winton Dean wrote, "the music catches breath and disturbs the memory". Handel never married, and kept his personal life private. His initial will bequeathed the bulk of his estate to his niece Johanna, however four codicilsdistributed much of his estate to other relations, servants, friends and charities. Handel's compositions include 42 operas, 29 oratorios, more than 120 cantatas, trios and duets, numerous arias, chamber music, a large number of ecumenical pieces, odes and serenatas, and 16 organ concerti. His most famous work, the oratorio Messiah with its "Hallelujah" chorus, is among the most popular works in choral music and has become the centrepiece of the Christmas season. The Lobkowicz Palace in Prague holds Mozart'scopy of Messiah, complete with handwritten annotations. Among the works with opus numbers published and popularised in his lifetime are the Organ Concertos Op. 4 and Op. 7, together with the Opus 3 and Opus 6 concerti grossi; the latter incorporate an earlier organ concerto The Cuckoo and the Nightingale in which birdsong is imitated in the upper registers of the organ. Also notable are his sixteen keyboard suites, especially The Harmonious Blacksmith. The first published catalogue of Handel's works appeared as an appendix to Mainwaring's Memoirs. Between 1787 and 1797 Samuel Arnoldcompiled a 180-volume collection of Handel's works—however, it was far from complete. Also incomplete was the collection produced between 1843 and 1858 by the English Handel Society (founded by Sir George Macfarren). Handel's works were collected and preserved by two men: Sir Samuel Hellier, a country squire whose musical acquisitions form the nucleus of the Shaw-Hellier Collection, and the abolitionist Granville Sharp. The catalogue accompanying the National Portrait Galleryexhibition marking the tercentenary of the composer's birth calls them two men of the late eighteenth century "who have left us solid evidence of the means by which they indulged their enthusiasm". With his English oratorios, such as Messiah and Solomon, the coronation anthems, and other works including Water Music and Music for the Royal Fireworks, Handel became a national icon in Britain, and featured in the BBC series, The Birth of British Music: Handel – The Conquering Hero. Since 1831, when William Crotch raised the issue in his Substance of Several Lectures on Music, scholars have extensively studied Handel's "borrowing" of music from other composers. Summarising the field in 2005, Richard Taruskin wrote that Handel "seems to have been the champion of all parodists, adapting both his own works and those of other composers in unparalleled numbers and with unparalleled exactitude." Among the composers whose music has been shown to have been re-used by Handel are Alessandro Stradella, Gottlieb Muffat, Alessandro Scarlatti, Domenico Scarlatti Giacomo Carissimi, Georg Philipp Telemann, Carl Heinrich Graun, Leonardo Vinci, Jacobus Gallus, Francesco Antonio Urio, Reinhard Keiser, Francesco Gasparini, Giovanni Bononcini, William Boyce, Agostino Steffani, Francesco Gasparini, Franz Johann Habermann, and numerous others. In 1942, Handel was the subject of the British biopic The Great Mr. Handel directed by Norman Walker and starring Wilfrid Lawson. It was made at Denham Studios by the Rank Organisation, and shot in Technicolor. He is also the central character in the television films God Rot Tunbridge Wells! (1985) and Handel's Last Chance (1996) and the stage play All the Angels (2015).